Charlie Brown: An all-time classic. Each year, new made for television Christmas movies debut with the hope of making a lasting impression. Yet, few do. The reason being is that they cover much of the same material as classics, and annual favorites like 1965's A Charlie Brown Christmas or the 1984 A Christmas Carol are difficult to improve upon. Yet the good thing is, viewers do have choices during the holidays. The question is: "What to watch first, next...and again?" During Christmastime, network programming goes into re-runs, making room for perennial classics like It's a Wonderful Life and Miracle on 34th Street, as well as new movies made especially for TV. In fact some channels, like the Hallmark Channel, devote the entire month of December to Christmas stories, typically leading up to their own premiere movie for that year. Also adding to the holiday anticipation are the promos for these Christmas specials, like the heralded return of Rudolph the Red-Nosed Reindeer or the one-time showing of Frosty the Snowman. Once these promos begin to hit the airwaves, it's just one more reminder that Christmas is fast approaching. Indeed, for many, Christmas TV movies are a holiday tradition. Whether you watch them or not, without them something would be missing. Dating back to the 1960s, the following animated Christmas movies are must-see TV for millions. Each year, their broadcast is looked forward to and new fans discover them. Collectively, they are the only Christmas television specials from the 1960s still being televised, and given their tradition and legion of fans, it's unlikely that the Christmas season will ever be without them. Timeless, Rudolph the Red-Nosed Reindeer tells the classic story of how Rudolph saved Santa Claus and Christmas, thanks to his famous red nose. It was based on a song by Johnny Marks (and story by Robert May) and produced by stop-motion production company Rankin/Bass. The movie originally aired on NBC, but moved to CBS in 1972. This beloved 28-minute movie featuring the Peanuts gang addresses commercialism and remembering the true meaning of Christmas. 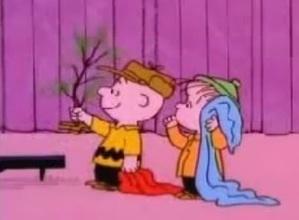 It has many famous lines such as Linus's remark about Charlie Brown's tree: "It's not bad at all, really. Maybe it just needs a little love." A Charlie Brown Christmas was the first-ever Peanuts TV special and continues to be a network hit, some 40+ years later. Directed by Chuck Jones, How the Grinch Stole Christmas is a straight adaptation of the famed Dr. Seuss book of the same name. CBS was the original broadcaster up until 1987. Turner Broadcasting System (TBS) eventually acquired the rights and now, the movie can be seen on several channels during the holiday season. Originally aired on December 14, 1969, this 30-minute movie tells the magical story of Frosty and a young girl's efforts to save him from melting. Produced by Rankin/Bass, the movie continues to air on CBS each holiday season, along with its sequel Frosty Returns (1992). Though each of these made for television Christmas movies can be purchased on DVD, there's something about watching them on TV when they air. It's part tradition and part holiday fun. Family-friendly, they help mark the season and more often than not, provide a welcomed reminder of what's most important at this time of year. As Charlie Brown implored, "Isn't there anyone who knows what Christmas is all about?" Similarly, watching Christmas specials online likely has little impact on viewership when the programs actually air during the season. As said, there's something about watching them on TV. Frosty the Snowman: The complete special, too.